When it comes to aging, we think of a variety of threats to health beyond the natural. We think of cancer, heart disease, high blood pressure, and other conditions that are commonly associated with being a senior. One thing that isn’t acknowledged commonly in the course of examining the concerns of aging is indoor mold. Someone who is 50 years old or older needs to be cautious of how elevated levels of mold can impact their health in the long-term. As we age, the immune system and other bodily defenses weaken, which makes our body more susceptible to acquiring illnesses or conditions. When mold enters the body, the body usually attempts to encapsulate and discard it (often through mucus in the sinuses or throat; resulting in runny nose, sneezing or coughing) or destroys it within the lungs or blood stream. However, when the body has limited defenses, the mold can instead cause adverse conditions. Elderly individuals have a greater sensitivity to mold exposure. 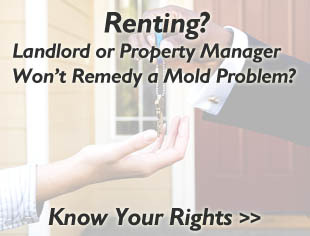 Since the lungs are impacted, it can be easily for mold to overwhelm. 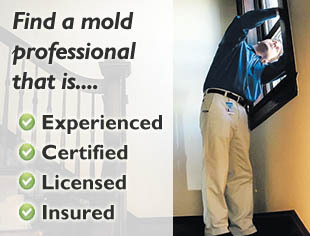 If mold is suspected in an indoor environment, it should be inspected to determine if its a problem, then properly remediated by a professional mold remediation company.